MIC Military Industrial Complex. First Part. By Makia Freeman. The MIC Military Idustrial Complex (or Military Intelligence Complex ) of the United States has become a behemoth. It is a monstrous creature which is forming the foundation of the technological control grid that is being erected and rolled out all around us. 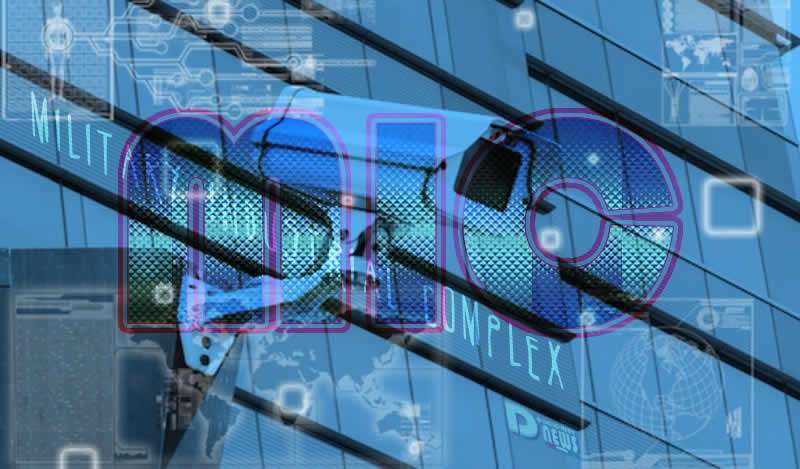 As the NWO conspirators attempt to push the world forward with their model of technocracy (rule by technology), the Military Intelligence Complex is central to the execution their plans. Right now, the MIC is the basis of data gathering (spying, interception and surveillance), data storage, data processing and data analysis. As technology advances and we are pushed further along the path of transhumanism, the NWO agenda will dictate that the Military Intelligence Complex take on further roles and functions, such as being the operations center of fleets of robots which will administrate over society and completely enforce law and order. Many people are sleepwalking through these times as the groundwork is being laid for this technological control grid. Fortunately, there are others who have awoken to the agenda, some of whom are insiders (or former insiders) with a solid moral compass and the guts to do what’s right. What follows is a selection of 20 of these brave individuals. “There exists in our nation today a powerful and dangerous secret cult — the cult of intelligence. Its holy men are the clandestine professionals of the Central Intelligence Agency. Its patrons and protectors are the highest officials of the federal government. Its membership, extending far beyond governmental circles, reaches into the power centers of industry, commerce, finance, and labor. Its friends are many in the areas of important public influence — the academic world and the communications media. Former CIA chief William Colby agreed with Marchetti’s assessment. 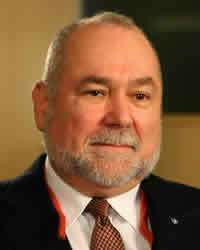 Former Marine, CIA case officer and US co-founder of the US Marine Corps intelligence activity, Steele’s mission has been to spread the use of Open Source Intelligence (OSINT). He has written handbooks on OSINT for NATO, the DIA and US Special Operations Forces. He has stated that the preconditions for revolution exist in the US, UK and other western countries. 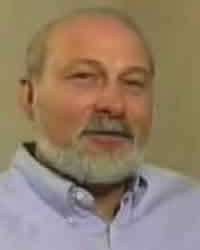 Former CIA engineer Dr. Robert Duncan, who was involved in the research and development of “Manchurian Candidates” (i.e. mind control victims), has been trying to explain to the public over the years that the true state of current mind control technology defies imagination. It is very hard (and scary) for the average person to grasp how sophisticated the technology now is. Duncan reveals how a weapons system capable of totalitarian control has been constructed. He also reveals that many people are now in wireless mental contact with AI (Artificial Intelligence) run by supercomputers – people from all walks of life, not just poor people as was done in the past. 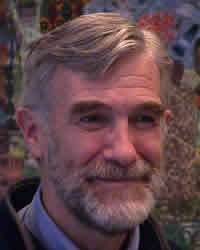 McGovern is an outspoken ex-CIA analyst and co-founder of Veteran Intelligence Professionals for Sanity (VIPs). He has accused the CIA of being a rogue agency many times, stating that the CIA routinely cooks up “intelligence” to justify pre-planned wars (e.g. Iraq, Afghanistan and Libya). It’s not bad intelligence; it’s fixed intelligence. Furthermore, he has stated that US Presidents are scared of CIA directors, and that Congress hasn’t done anything to rein in the CIA before at least 9/11, if not before the time of JFK. In this video, McGovern famously challenged the lies of Donald Rumseld to his face. Rumsfeld was a former executive at Searle Pharmaceuticals (that developed the horrible chemical aspartame) and former Secretary of Defense during 9/11 (who coincidentally “lost” $2.3 trillion the day before 9/11, then oversaw the US invade Iraq and other nations post 9/11). 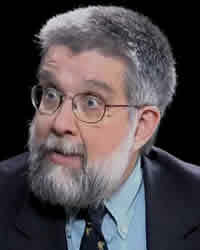 Ex-CIA intelligence Michael Scheuer has been an outspoke critic of US foreign policy for decades. He has been one of the few to have the guts to criticize Israel and cast doubts on why the US would want to ally itself so closely with the Zionist regime (hint: it’s because the Rothschilds control Israel and also the US, thus can dictate how the US spends its money and chooses its allies). Scheuer has also had the intelligence to highlight the dangerous alliance between Israel and Saudi Arabia, and expose how that alliance is far, far more dangerous to the US and some surrounding nations than Iran. Now that doesn’t fit too well with the official narrative on terrorism and Islam, does it? 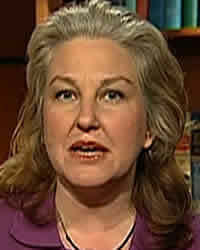 Ex-CIA agent Susan Lindauer endured 5 years of unjust imprisonment with no trial under the Patriot Act for the crime of speaking the truth. After 10 years, she broke her silence on 9/11, revealing how George W. Bush, Cheney and Rumsfeld had decided to go to war with Iraq before 9/11 occurred. She also exposed how her CIA handler Richard Fuse made her deliver threatening messages to the Iraqis – even though they possessed no WMDs and had no knowledge of the hijackings. She confirms that the leader of the hijackers, Mohammed Atta, was a CIA asset. She was imprisoned for 2 years for her trouble. 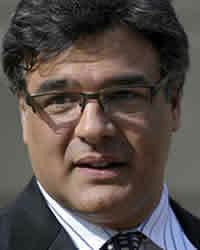 Kiriakou was one of the most punished whistleblowers in recent times. 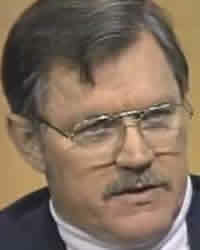 After being at the CIA for years, he resigned in 2004, then 3 years later in December 2007 he decided to go on television and publicly call out the CIA for its “immoral, unethical and illegal torture programs”. He rightly accused the CIA of lying when the agency falsely claimed that it gained “actionable intelligence” through the torture, which violated many laws and the 8th Amendment in the Bill of Rights (which forbids cruel and unusual punishments). Like Landauer, Kiriakou was imprisoned for almost 2 years for his trouble. 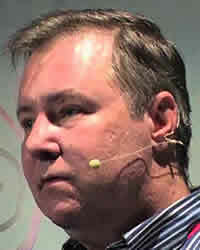 Ex-CIA agent Kevin Shipp worked as a counter-terrorism agent. He has exposed the corruption of Barack Obama, Eric Holder, Hillary Clinton, George Soros, Susan Rice, John Brennan, Huma Abedin and many more. 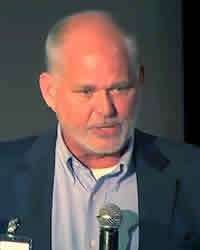 He has talked on various issues of truth, such as the the 9/11 false flag event, the vaccine-autism connection, how mass migration is being deliberately used to destabilize the West, and how the Military Intelligence Complex has perfected the art of intimidating and destroying whistleblowers. Giraldi is an ex-CIA officer and former director of the Council for the National Interest, a 501c4 nonprofit, non-partisan organization in the US that works for “Middle East policies that serve the American national interest.” Giraldi has been outspoken in his criticism of the Deep State, the American war machine and the untoward Israeli influence over US officials. He has said that the idea that Syrian President Assad attacked his own people (with chemical weapons earlier this year in 2017) was a sham. He has also asked the key question of why the US is targeting Iran when it should be targeting Saudi Arabia. The late Philip Agee, who died in 2008, was an ex-CIA case officer with a conscience who blew the whistle on the CIA’s dastardly and nefarious activities. He worked in the CIA during the 1950s and finally left in 1968. He became a whistleblower and author of several books exposing the agency. When the US revoked his passport in 1979, he first lived in Grenada in 1980 until Bishop was overthrown by the US, then in Nicaragua until 1990 when the Sandanistas were overthrown by the US, then Germany and Cuba. He knows firsthand the CIA’s subversive activities and terrorism of Central and South America. 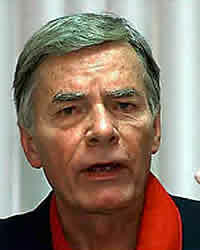 Former CIA Director and later President Bush (senior) called Agee a traitor. Stockwell worked with the CIA during their covert operations in Angola, Congo and Vietnam. After he left the agency, he exposed how the main activities of the CIA – drug running, assassinating foreign and domestic presidents, installing foreign puppet regimes and destroying the environment – are all interrelated. He boldly stated that the CIA was counterproductive to national security. In 1978 he appeared on 60 Minutes to expose that then CIA Director William Colby and National Security Advisor Henry Kissinger had systematically lied to Congress about the CIA’s operations. 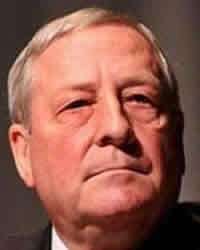 Ex-CIA agent Chip Tatum worked in Black Operations, in the drug smuggling trade between the US and Central American countries. He personally flew a plane with cargo which, he later discovered, turned out to be cocaine. Tatum was threatened not to speak out but exposed the lurid details of the Mena, Arkansas cocaine smuggling ring, which involved Bill Clinton up to his neck. Additionally, Tatum claims Bush senior had Barry Seal and Manuel Noriega assassinated, and also gave Tatum the order to kill presidential candidate Ross Perot (which he refused to do). I love your news page find the information refreshing Love and Light namaste.